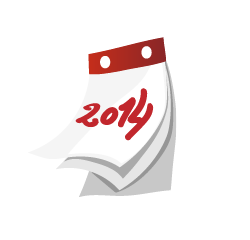 Find all the info in our educational kits to download ! Welcome to Bergerac and Duras! ! Tasty and regional wines: there’s an option for everyone! 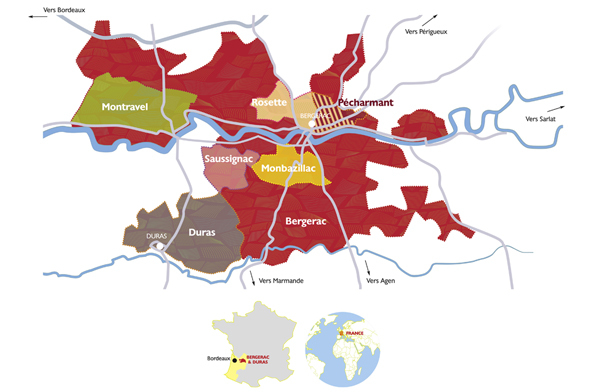 Identical landscapes and terroirs, an equal philosophy and shared values: the Bergerac and Duras wine areas are similar in many points. Not to mention that the region is full of prestigious historical testimonies (castles, “chartreuses”, manors, “bastides” and abbeys) that lay in the middle of breathtaking landscapes. In Duras, the Château des Ducs towers over the hills bordering the Bergerac wine area. On this noble land that has always been hard to conquer, generations proudly defended the culture, the knowledge and the unique lifestyle that represent the Périgord Agenais. The story of the winegrowers of Bergerac and Duras is dictated by their hard work and a determination that’s committed to quality and passion. In the vineyards of Bergerac and Duras, the terroir is in the spotlight. Piece of countryside, part of nature, portion of land, limestone and flint: our rawness comes from there, made of respect. The hand of man and the art of our winegrowers make our terroir shine – refining and polishing it with a lot of time, sometimes with wood and always with care – transforming it into the wines or Bergerac-Duras. Generous like Gascony, our vineyard has no less than 17 different appellations and its range of wines comes in all five colours. 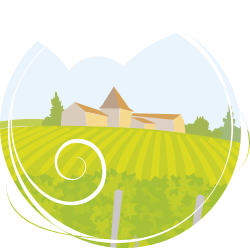 Discover the story of the wines of Bergerac-Duras, from the birth of the vineyards during the Gallo-Roman times to today. Learn about the history of Bergerac wine, from its creation in 281 A.D. to now. This wine area has been of major importance since the appearance of the Gallo-Roman civilisation. Nature expressing itself to the full…and with style! Rows of vines on hillsides, clearings and groves are the setting for pretty Périgord homes. 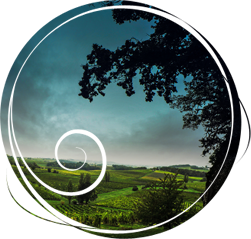 Here nature expresses itself to the full and doesn’t hold back on style…just like the wines from our 9 appellations! Add the Dordogne River which connects us to our prestigious neighbours upstream in Périgord Noir and Sarlat, and downstream in Saint-Emilion and there you have it… For over 2,000 years, Bergerac wines have delighted the Gauls and Romans, reconciled the kings of France and England and even inspired Cyrano. Bergerac: a fabulous personality forged over centuries, to be discovered today! A stroll through a Bergerac market bursting with local products of the highest quality (foie gras, strawberries, goat’s cheeses, Périgord walnuts and more) will be enough to convince you: Bergerac is all about the lifestyle and warm welcome! Still not convinced? Hope on a bike and cycle around the hillsides of Monbazillac, Saussignac and Pécharmant, enjoy a dreamy promenade in the gardens of Sardy and the Tour de Montaigne in Montravel and you’ll be hooked.